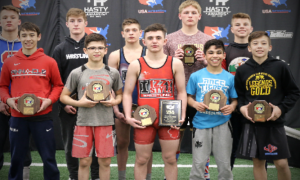 A lot of excitement was generated two weeks ago when it was announced that the Williams Baptist Greco-Roman team would be making its debut at the Dave Schultz Memorial, set for November 1st and 2nd in Colorado Springs. Plenty of eyes are on WBC right now, so naturally, the news got everyone’s attention. As one of only two full-time collegiate Greco-Roman programs in the nation along with Northern Michigan University, coaches and athletes from all over are interested in watching how Williams comes out of the gate and discerning what kind of progress is being made down there in Walnut Ridge, Arkansas. Intrigued parties no longer have to wait for the Schultz to check out Williams because as it turns out, the program’s launch has been pushed forward quite a bit. Williams Baptist College is one of five programs that will be represented this Saturday in Fremont, Nebraska as part of the Midland Greco-Roman Exhibition Series. Run in conjunction with the 2017 Lady Warrior Open will be a series of Greco matches contested between athletes from MWC (Nebraska), Legends of Gold (South Dakota), Combat Wrestling Club (Wisconsin), Powerhouse (Iowa), and of course, Williams. The competition is expected to be pretty fierce. 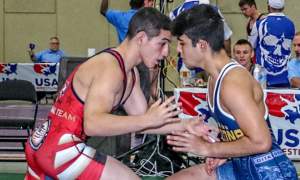 Even stretching down to the Cadet age group are wrestlers with viable international experience. There is also some Senior star power in the likes of 2016 Olympian Jesse Thielke (63 kg, LOG) and Cody Pack (75 kg, LOG). In other words, though the term “exhibition” may be appropriate, the level of ability that will be present on Saturday is certainly anything but informal. 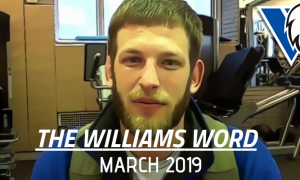 Since we talked to Drendel a few weeks ago regarding his approach to Williams’ participation at the Schultz, it seemed like a good idea to check in with him now that WBC’s launch date has moved up and find out what he’s looking forward to most about the event. 5PM: Obviously, the last time we talked, the plan was for the Dave Schultz Memorial to act as Williams’ debut. Why are you taking your squad to this event a couple weeks out? Are you looking at the Midland series as a warm-up for your guys? Jonathan Drendel: It is definitely going to be a warm-up for the Schultz, but we believe there is going to be some good competition there, as well. They are pulling people from all over to come and wrestle. 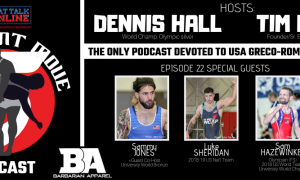 I think it is good exposure for our team, and I think it’s good exposure for Greco. 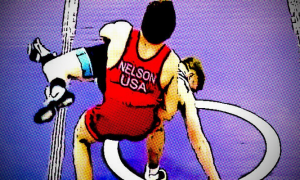 People need to learn and understand that there are Greco wrestlers out there training. There are people training full-time and we need to encourage as many events as we can get, we need to encourage as much exposure as we can get, and this is a really great opportunity for that. 5PM: How is this going to work? It’s Thursday, the event is Saturday. How is the team getting there and when are you guys leaving? JD: We are taking a bus, so we’re leaving tomorrow morning. We’re going to drive all day, get there, work out, and be ready to wrestle the next day. For some of these guys, that will be a new thing. For some of the others who have been around college wrestling for awhile, it is just another weekend to them. 5PM: You gave me a rundown of how the team was preparing for Schultz when we last spoke. How has the preparation changed now that this event on Saturday has popped up and also, since Schultz is getting closer? Is there a tapering period for Williams? JD: We’ve backed off very lightly, but in all reality, we’re still training hard. Our intention for this is that no one is going to make a World Team this weekend, but we’re obviously going to take this seriously. I know they are called “exhibition matches”, but we are preparing as if this is a big tournament. 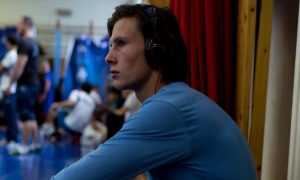 At the same time, our ultimate goal is the Nationals and the World Team Trials, that is what we are training for. So we are still going hard, we’re still pushing the guys, and with all of that hard training, we’re excited to compete. Regardless of the tiredness, they want to get on the mat and I think they are fresh enough at this point to where they will react just fine this weekend. 5PM: What is it that you’re looking for most out of your guys on Saturday? Is there a specific set of items you want to see out of their performances? Jonathan Drendel: What I really want out of the guys this weekend is for them to be exposed as far as their weaknesses. 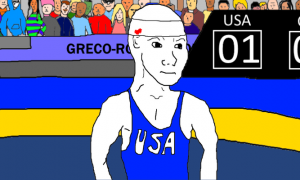 I want them to be tested in battle so they can see and feel out what a Greco match is like, and not just any Greco match, an international match, with guys who are competing and training to wrestle at the next level. We’re not counting wins and losses, but I always want to win. The biggest intention for us this weekend is to take some lumps, be exposed, and figure out how we can get better.